For years and years when I was cleaning my face I always thought the tight feeling when I was done meant that my face was squeaky clean. Little did I know that I was stripping away oils and contributing to an endless cycle of excess oil production and an oily face! Once I stopped doing that, I found out that I didn’t have oily skin… I actually had “normal” skin. I started using Asian beauty products last year when a friend told me about them. Korean Beauty is all about natural, dewy skin. I read about the 10-step regimen and while it sounds really intimidating, you don’t necessarily need to do all 10 steps, everyday! One of the items that was intriguing was the double cleanse. 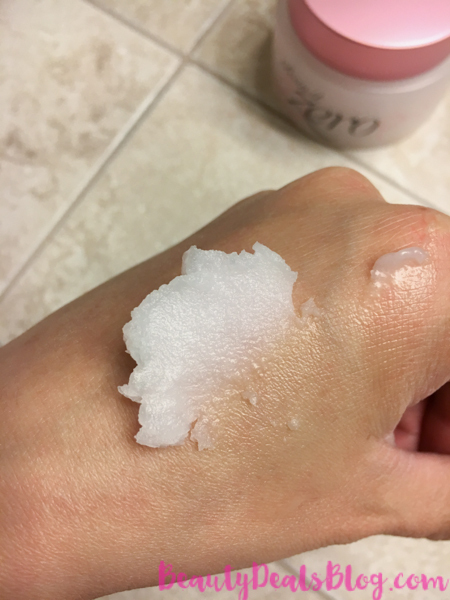 I noticed that my toner pad sometimes still had traces of makeup and dirt, even after I washed my face and took a shower. The double cleanse is exactly what it sounds like–you wash your face two times. First, you wash with an oil based cleanser which gets rid of oil based debris. This cleans your makeup off, sebum and other oil based grime. You rinse off the oil based cleaner and then you wash with a foaming cleanser which gets rid of everything else. You want to apply the oil based cleanser with DRY hands and on a DRY face! Otherwise you’ll emulsify the cleanser too soon and it won’t be able to do its job as effectively. Banila Clean It Zero is billed as a cleansing balm. I guess that is a great way to describe the consistency of it! It behaves a bit like coconut oil — solid at room temperature, but once you start massaging it onto your face, it becomes soft and like an oil. 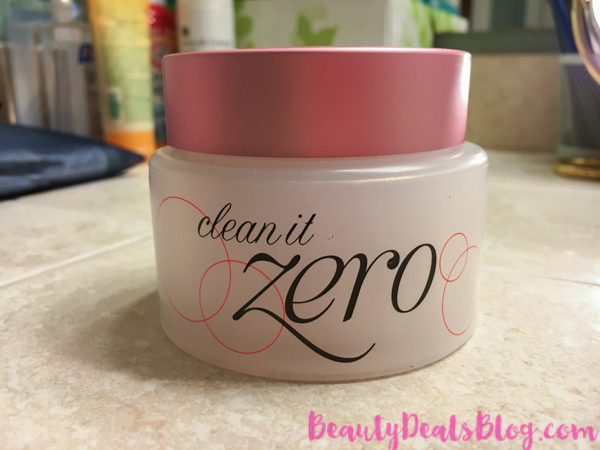 Banila Clean It Zero comes in a jar package. The container looks a little like frosted glass but it’s actually just plastic. It comes with a seal on top of the product and a little plastic spatula to help you dispense the product. The box had a security seal on it as well. 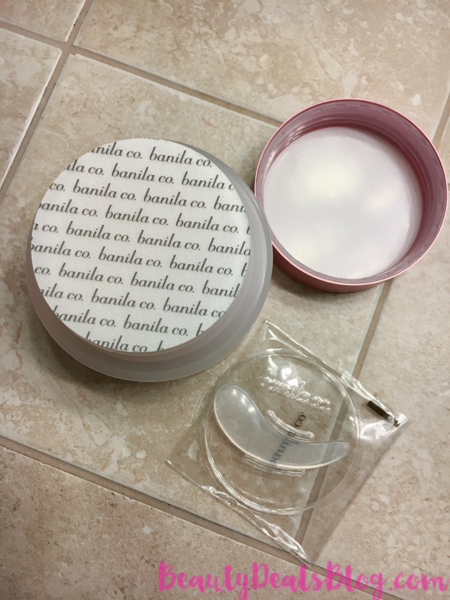 Banila Clean It Zero Review – I like that there’s a security seal on top of the product. I take about an almond sized amount out with the included spatula and massage it all over my face for about a minute. I take special care to carefully clean my eye makeup off. I use a Lancome waterproof mascara and this is able to clean the mascara off completely! 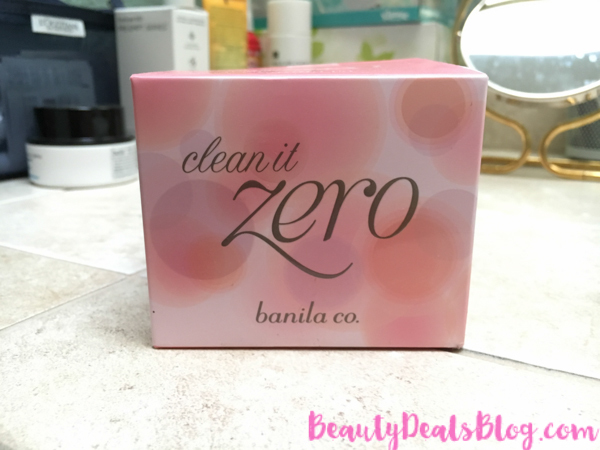 Banila Clean It Zero Review – I took way too much out the first time. Start with an almond sized amount to begin with. My face feels clean, but not tight or stripped. I follow up with my second cleanser, though I haven’t found one that I *love* yet. I’ve tried Estee Lauder’s Soft Clean Moisture Rich Foaming Cleanser, Aveeno Positively Radiant Brightening Cleanser and Spectro Jel Fragrance Free Cleanser. I’ve found that when I follow up with my toner pad, it is now clean!